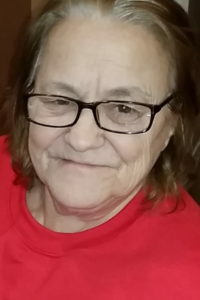 Ann Marie Bell (nee Merillo) of Staten Island, NY passed away on Monday, February 12, 2018 at the age of 63. Ann was the daughter of Santo and Anita Merillo. In 1974 she married her childhood sweetheart and had 44 wonderful years together including 3 lovely children. She enjoyed spending time with her family especially her grandchildren, whom she watched and was a very big part of their everyday lives. Ann would spend hours watching the Sci fi channel including shows like Ghost hunters and Charmed but most of all, her favorite daytime drama was General Hospital. Ann was predeceased by her son, Timmy and her 3 sisters, Vilma, Rosemary and Barbara and her brother Victor. She is survived by her loving husband, Dennis Sr, her children, Prudence (Rene) Diaz and Dennis (Rachel) Bell Jr., her grandchildren, Dennis, Dante, Ava and Timothy along with her 3 brothers, Santo, Anthony and George Merillo and her sister, Anita Merillo. Funeral will be at Cherubini McInerney Funeral Home, 1289 Forest Avenue, Staten Island, NY with a blessing on Saturday at 8:00pm. Family and friends are welcome to visit on Friday and Saturday from 2-4pm and 7-9pm.